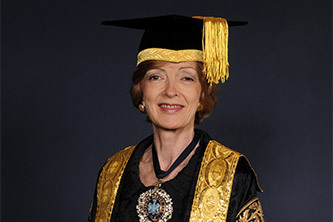 The Rt Hon The Lord Mayor Fiona Woolf CBE was given an Award of Doctor of Science honoris causa by City in 2014. Alderman Woolf studied Law at the Universities of Keele and Strasbourg before qualifying as a solicitor in 1973. She worked in the corporate and banking fields at Clifford Chance for 5 years, before moving to CMS Cameron McKenna where she became the firm's first female partner. She ran its banking and project finance practice in Bahrain for 3 years and negotiated the Treaty and the Concession Agreement for the Channel Tunnel on her return. Having played key roles in the water and electricity privatisations, Fiona Woolf built an innovative energy and major projects practice. Her career has taken her to 40 jurisdictions, advising more than 25 governments and multi-lateral agencies, on attracting investment in infrastructure and energy reforms. Most recently, she worked with the World Bank on regional transmission line projects to enable post-conflict countries, such as Liberia and Sierra Leone, to import electricity. Her focus has been on regulation, market implementation and major projects in the electricity industry - culminating in a CBE for her contribution to the UK knowledge economy and invisible earnings in 2002. 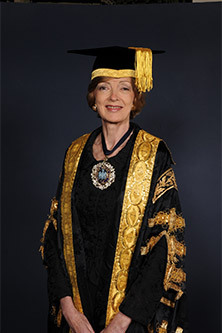 A Senior Fellow at Harvard University, she has also been awarded honorary doctorates by Keele University and the College of Law and is an Honorary Bencher of Middle Temple. Fiona was Chairman of the International Committee of the Law Society and a World Trade Organisation negotiator, in which capacity she supported Lord Mayors' overseas visits in the 1990s. She was elected President of the Law Society in 2006, serving for a year, and was a Member of the Competition Commission from 2005 to 2013. She is Trustee of Raleigh International, a charity that inspires young volunteers from around the world to work with communities living in poverty. Part of this year's Lord Mayor's Appeal will enable disadvantaged young people from across the UK to join the programme with the help of financial bursaries. In keeping with the theme of her year in office - "The Energy to Transform Lives" - the Appeal will also support three community-based charities that make a significant impact. Beating Bowel Cancer, Princess Alice Hospice and Working Chance all perform above the level that their size might imply. The Lord Mayor's Appeal aims to raise over 2 million pounds to allow these charities to expand their programmes. As part of a drive to cement further the position of The City as a centre of philanthropy, Fiona has also created The Lord Mayor's Charity Leadership Programme. This pioneering course has been set up under the chairmanship of The Lord Mayor's Consort, Nicholas Woolf in partnership with the Centre for Charity Effectiveness at City, University of London's Cass Business School, accountancy firm Mazars and The Macquarie Group Foundation.